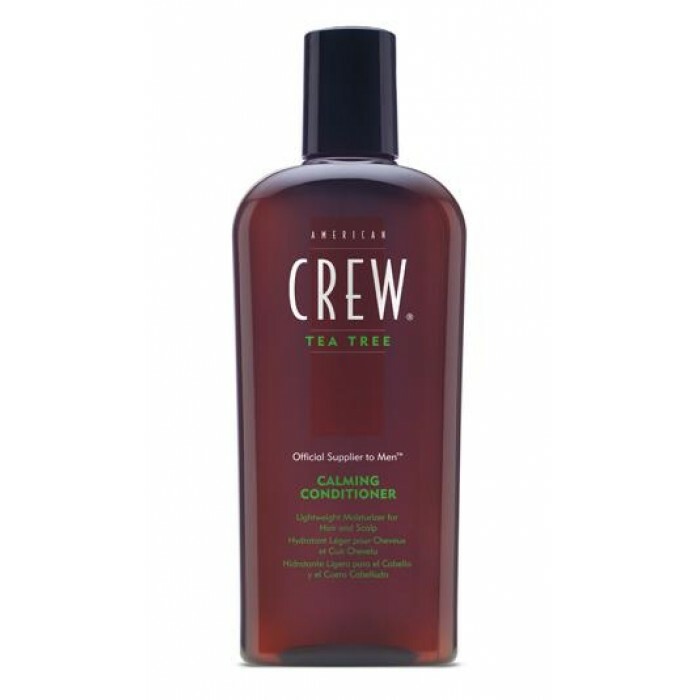 American Crew Tea Tree Calming Conditioner. Lightweight moisturizer for hair and scalp. Application: After shampooing, work a small amount onto scalp and evenly distribute through hair. Leave on 2-5 minutes and rinse well. Features: Tea Tree Oil, Hydrolyzed Soy Protein, Panthenol, Comfrey Extract. Benefits: Serves as an antiseptic and helps to heal scalp issues, reduces roughness and promotes moisture retention, adds sheen to hair, moisturizes and helps tame coarse or rough hair.